Erbusco, 9th November 2017 – Ca’ del Bosco presents a rejuvenated Annamaria Clementi, in and out of the bottle. The experience accumulated over 30 wine harvests, the vocation of the terroir, the vineyards over thirty years old, with the fruit of their vines in full maturity, have contributed to the achievement of an extraordinary balance, bordering on perfection: for the first time, Annamaria Clementi will be a “dosage zéro” wine, with no added liqueur, to exalt its purity and integrity. Only the Rosé, made exclusively from Pinot nero grapes, will continue to be an “extra brut”, with a minimal amount of grape sugars left in so as to round off the effects of capricious climate in some years. Ca’ del Bosco has always been at the forefront of enological research and experimentation, guaranteeing the healthiness of its wines and protecting the environment. In addition to the adoption of organic protocols, the 2008 vintage was the first in which the bunches were washed and dried after picking, in the so-called “berry spa”, one of the distinguishing characteristics of the Ca’ del Bosco method. A Franciacorta rejuvenated in its soul and in its style: Ca’ del Bosco puts Annamaria Clementi’s signature on the label, focusing the spotlight on the person who was the involuntary founder of the winery, the woman who in 1964 so deeply desired the “ca’ del bosc” [house in the woods]. The even-tempered mother of Maurizio Zanella, to whom he dedicated, starting in 1989, the most expressive and prestigious of Ca’ del Bosco’s Franciacortas. 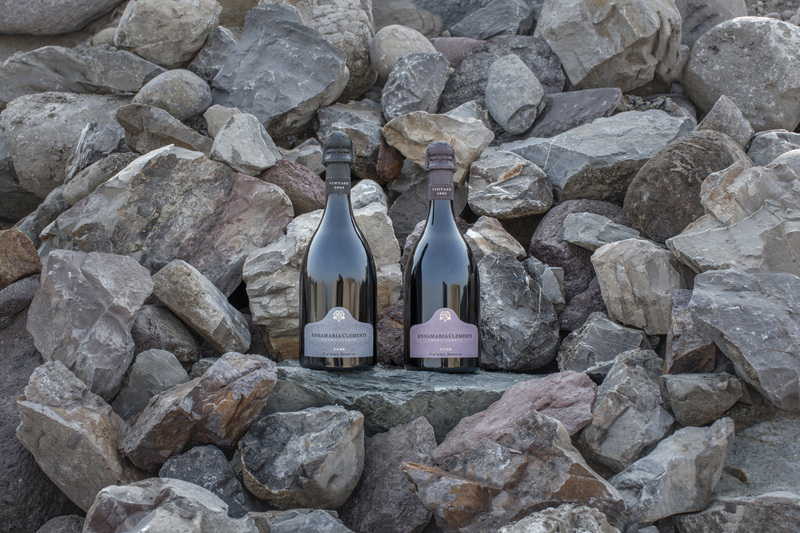 A new label, inspired by the colors with which nature paints this place: the gray and pink of the rocks and pebbles, evidence of Franciacorta’s ancient origins. Even today, these stones encapsulate the past and project it into the future, making these bottles eternal. Annamaria Clementi, the woman who captured the essence of a place and turned it into wine. The memory of Ca’ del Bosco. The label’s paper is made of powdered rocks and natural fibers, using artisanal and ecofriendly methods that result in unique hues and tactile sensations. And to embellish the packaging even more, a collar in embroidered fabric displaying the distinctive emblems of the winery and the vintage seals the foil capsule over the cork. Annamaria Clementi is an absolute Franciacorta, free of all restraints. A nascent, instinctive value. No compromise, no concessions. Only the very best grapes selected from each “cru” are set aside for the production of this symbolic wine. And only in the best years. Restricted yields in the vineyards, meticulous vinification and, above all, extended lees: a full nine years and more. Over this very long time, the effect of the yeasts results in a “one of a kind” product, a wine of unique stature, with a magnificent golden color, extremely fine perlage, a bouquet of extraordinary complexity and a taste that is exceptionally rich, full and persistent.